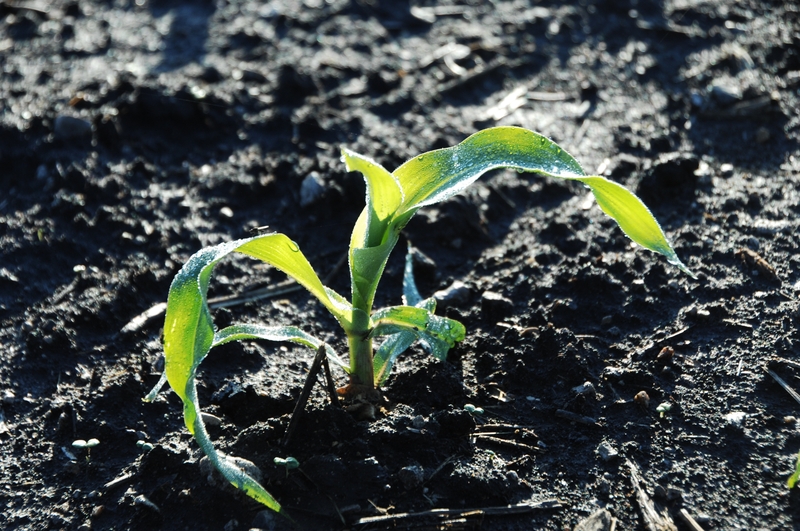 AMES, Iowa – Stubbornly cold temperatures and winter storms affecting much of Iowa this spring shouldn’t cause undue alarm for farmers anxious to begin planting, according to an Iowa State University agronomist. At least, not for a few more days. Mark Licht, an assistant professor of agronomy, said Iowa farmers can scale up their planting in a hurry, planting between 1 and 1.5 million acres a day across the state when operating at full capacity. That means there’s still time for most farmers to get virtually all of their corn and soybeans planted before the optimal window closes for each crop, Licht said, even with this month’s temperatures freezing farmers out of their fields. Licht said farmers usually want to have their corn completely planted between May 5 and May 10. Soybean planting can stretch a little later, to around May 20 in an average year. Waiting too long after those dates shortens the growing season for the crops and risks diminishing yields, he said. So the clock hasn’t run out yet, but additional delays most likely will take some farmers down to the buzzer for optimal planting. Licht recommends farmers wait until soils reach 50 degrees before planting. He also recommended paying attention to the forecast to make sure soil temperatures won’t slip below that threshold in the first few days after planting. The seeds won’t germinate in cooler soil, which gives insects and pathogens an opportunity to strike, Licht said. Farmers are most concerned with the top two inches of soil, which can warm quickly once the weather finally turns around for good. For instance, most of the state’s soils were below 30 degrees at the beginning of last week. By week’s end, some soil in southern Iowa had reached 50 degrees. A few days of 60s and 70s during the daytime and nighttime temperatures that remain above 40 degrees can make a huge difference, Licht said. “With some sustained warm temperatures, we’ll see soil temperature respond quickly,” he said. Despite cold and snowy conditions this spring, there’s still enough time for most Iowa farmers to plant corn and soybeans without having to worry about reduced yields due to a shortened growing season, according to an ISU agronomist. But any further delays to planting could mean some farmers will be cutting it close. A cold spring has kept farmers from planting their crops, but an ISU agronomist says there’s still time on the clock for a good spring planting season. Larger image. Photo courtesy of ISU College of Agriculture and Life Sciences.